Currently, the safety net is only available on the fuel-injected model. Carburettor version to get it soon. The TVS Apache RTR 160 4V was a game changer for the segment, usurping the Suzuki Gixxer in many aspects to be the benchmark in the 160cc motorcycle segment. And now, TVS has kitted the bike with single-channel ABS. The RTR 160 4V Fi ABS is priced at Rs 98,644 (ex-showroom Pune), which is a premium of Rs 6999 over the non-ABS version. However, it is almost on par with the hikes we have seen on other similar capacity motorcycles. This is TVS’ first (and so far the only) bike to get single-channel ABS as other models come with dual-channel units. Apart from the inclusion of the safety aid, there are no mechanical changes. The motorcycle continues to be powered by the 159cc single-cylinder fuel-injected motor which makes 16.8PS and 14.8Nm. While there is no official clarification on this from TVS itself, the news comes from its dealerships in Pune. 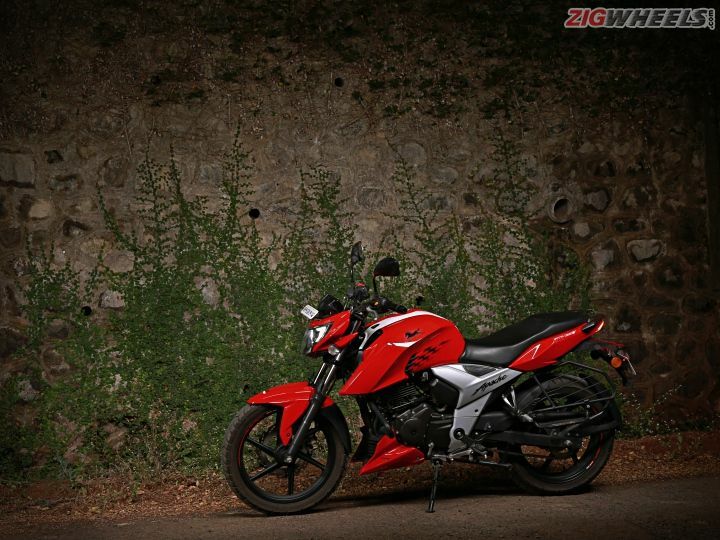 The carb version will also be getting the same safety feature, but the price hike is likely to be only Rs 5000. Can I use normal petrol ? Can I use normal petrol ? Share your experiences with Apache 160 4V? Confused about TVS Apache RTR 160 4V?